When light is incident upon the boundary between two media, some of the energy is reflected and some is transmitted. Anti-reflection coatings work by controlling the phase of the reflected energy from enough interfaces that the reflected waves from all interfaces nearly cancel one another out, resulting in very low surface reflectance. For uncoated glass with an index of refraction of 1.5 and negligible absorption, approximately 92% of the light will be transmitted through the glass and approximately 8% will be reflected (4% from each glass/air surface). In multi-element systems, losing 4% of the incident energy at each surface can result in a significant overall loss of energy. For example, the total loss for ten common glass optics is over 50%. Optics with higher indices of refraction will suffer even larger reflection losses. Losses are also greater at higher angles of incidence. To prevent reflection losses, anti-reflection coatings must be applied to each surface. AR coatings are used in multiple consumer and commercial applications. Many optical devices and displays employ anti-reflection coatings to reduce loss of the transmitted signal or reduce glare. 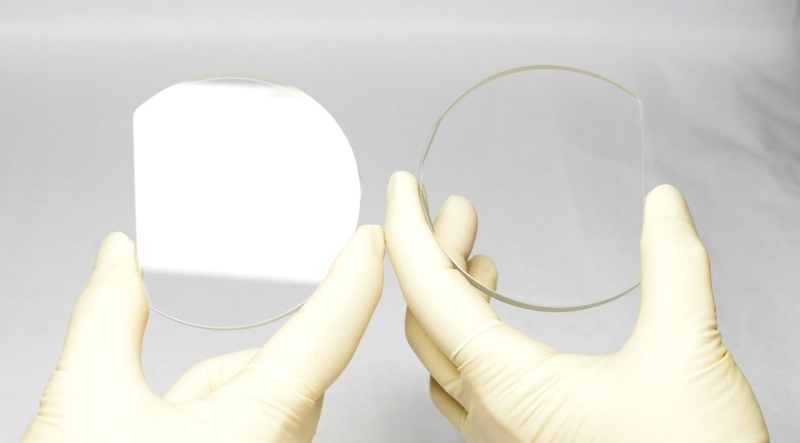 See the image above for an example of an uncoated piece of optical glass verses a piece of optical glass coated on one side with an anti-reflection coating. 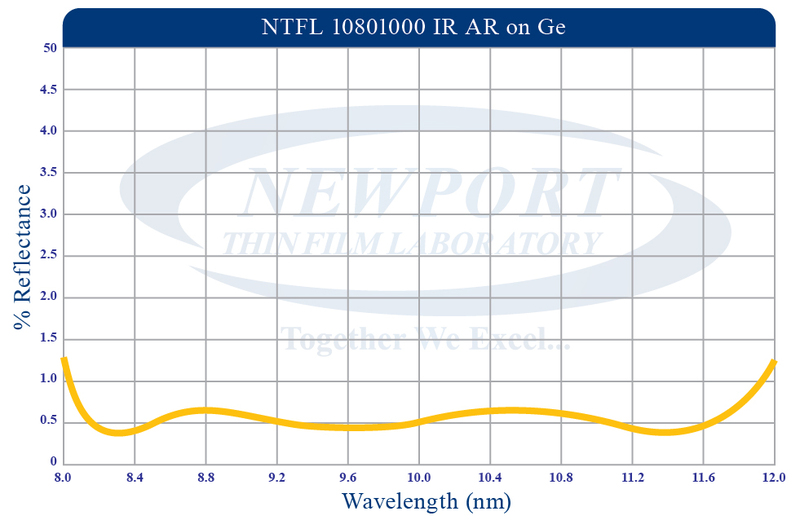 Newport Thin Film Laboratory has developed a vast array of anti-reflection coatings optimized in the ultraviolet, visible and infrared wavelengths. 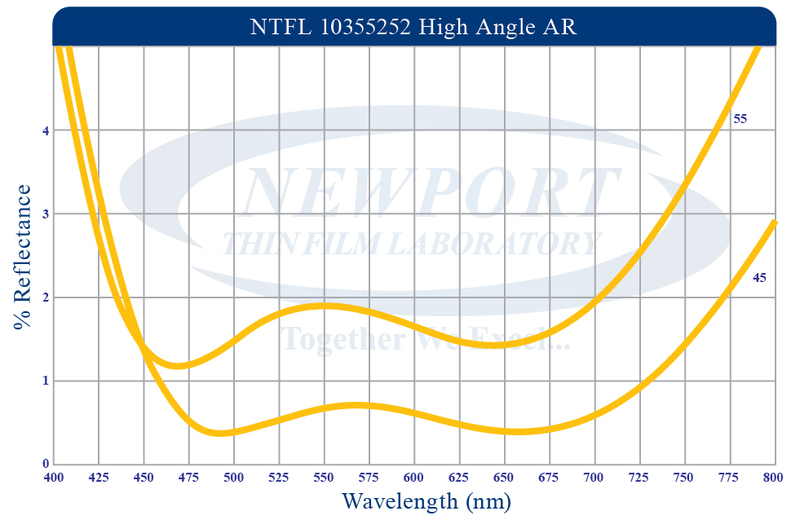 NTFL can also design and deposit custom anti-reflection coatings to customer specifications. If you are not sure how to specify your coating, our coating engineers will work with you to identify the best design for your needs. 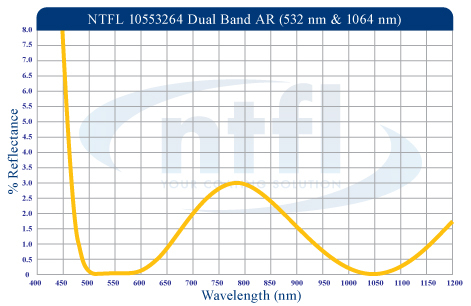 NTFL also offers low temperature anti-reflection coatings for polymer optics. For more information concerning general types of anti-reflection (AR) coatings such as single layer anti- reflection (SLAR), V-coat (VAR), broad band anti-reflection (BBAR), and dual band anti-reflection coatings please contact us. Significant reduction of the reflection loss incurred at each surface. Can be designed to perform well for a wide range of applications (e. g., wide wavelength ranges and high angles).